ROSEANNE dominated the October ratings, taking the #1 spot the first three weeks. In the fourth week, the World Series dominated the top spots and the fifth week, 60 MINUTES was the #1 show. 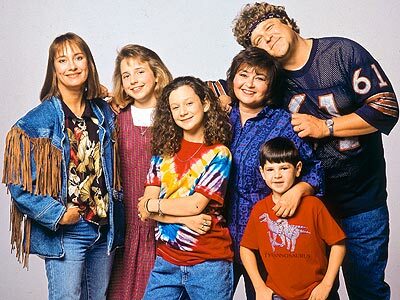 ROSEANNE was not the only comedy doing well, as 7-8 sitcoms regularly populated the top 10 rankings each week. As for the network battles, CBS and NBC was alternating as the top networks, but ABC was always close bhind in third place. Going into the 1991 November sweeps, CBS had a 1.8 ratings lead over NBC, but ABC was just 0.6 points behind NBC. FOX, still only programming 5 nights a week, was a distant fourth, nearly 7 ratings points behind CBS. I think you mentioned that you saved these up until 2000 or so. Did USA Today keep publishing complete ratings like this for that whole time? yes. I think the lists were published until at least 2004. I remember purchasing a paper that year (after 4 years) and they had the chart plus added grafts and other info.